Great app, once you’re actually able to download with your digital account info. Only let me download one month and rest I would have to purchase. Still waiting to hear back from app customer service.Frustrating! Use to be an avid reader of the app, now it’s become really frustrating as every time you click to the next page, a message appears on the top with “swipe up for reader view.” I don't need a pop up every time I swipe to a new page. Please make it stop! Can you please add a setting so we can turn off the message. Of all of the apps I use, this one has to be the most limiting. Compared to the actual website, this app restricts you to just the magazine with limited functionality. Frankly you are better off going to the website unless you want an app that just takes up space. Why do developers change apps that are working fine? F&W updated their app, although I don’t see any difference. However, several of my older issues have disappeared and at least one newer issue is locked even though I paid for it. Tried to contact them through the help section of the app but they never replied. If you have had an extended subscription to F&W, DO NOT UPDATE! The new app dropped my access to about half my library. They say they’ll work on it, but it would be better to wait. Issues now do not seem to be truly downloaded, but exist only as links to their server. (What happens to the issues you already paid for if you stop your subscription?) This is second update I’ve been through with them where they’ve had this kind of screw-up. Makes you wonder why they pay so little attention to whether a new app really works before releasing it. Visually stunning, easy to use. I love having recipes available on my iPad. As long as my wi-fi does not drop off the download process is easy. F&W magazine on the iPad. Great recipes and ideas! And they don't double-charge for print edition readers. I love this app! Easy to scroll thru recipes. Love the pics! Love the Food &Wine app. Great video and content. 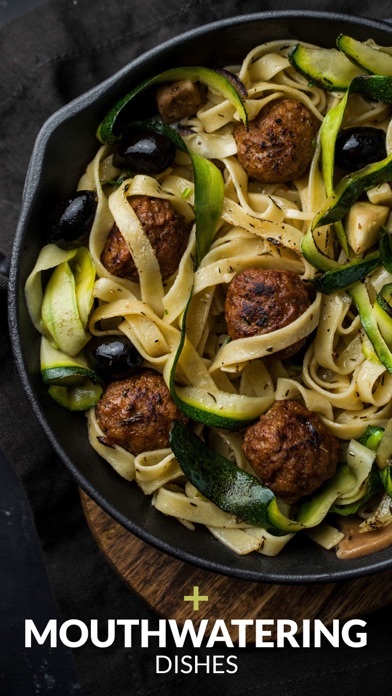 Easy to find recipes and lots of extras under "more"
App has beautiful photos and features. Haven't experienced the problems other folks are having. Glad I subscribed! It could be better...it keeps asking me to pay. I love being able to bookmark my favorite recipes. It's like having my own personal cookbook right at my fingertips. This app is better. It keeps you logged in. Big plus. The downloads are easier than others. The magazine is well organized to find recipes easily. I like it. I love this app! I'm a print subscriber and I love having the interactive options when I want to dig into the app. It depends what mood I'm in. Print is great on a lazy weekend morning and the app is great for weeknights when I'm looking for specific recipe inspiration. Don't change a thing when it comes to format. Keep the app layout just like the print version, advertisements and all. Love the "shrink and quick scroll" feature. All Class F&W! I love this! It's easy to browse and a snap to find something eye-catching/interesting. Love the mag, but having frequent crashes while trying to read! My iPhone 6 Plus has almost replaced my iPad, as it’s large enough to read books, watch movies and even do a little work in Pages, etc.. Unfortunately, I can’t transfer my Food & Wine subscription. I love the magazine, but if I have to carry around another device just to read it I might as well carry the print magazine. Love the digital addition with the ease of having recipe available in kitchen. The app has its glitches, to be sure, but overall it is a convenient way to get at what's needed. And of course F&W content can't be beat. Easy way to read issues, especially the pst ones that got buried under other stuff and forgot to read! I am a print subscriber, and I love the additional pictures. I cannot, however, use the app to read an article, and always use the print version delivered to my doorstep if I want to really read it. Somewhat disappointing. Pictures are beautiful and the app is so well put together, crystal clear pictures and text. I found it was a breeze to navigate though, very good job!! 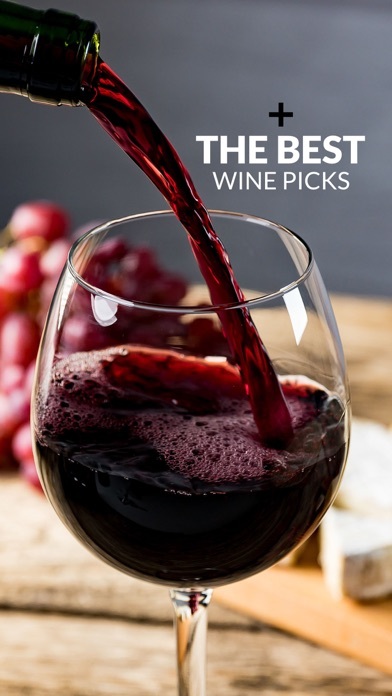 Love the recipes, articles and wine reviews!! Takes a while to download issues and you can't store recipient like you can with the F&W website, but the pictures and magazine feel are excellent. I'm glad that if you subscribe to the print magazine that I also get the e-version at no extra cost. However, e-magazines1.0 have a lot to learn from other e-materials. I wish it had the same features of the New York Times, Wall Street Journal and Kindle books. I wish I could bookmark, save favorite recipes, organize the recipes into folders, e-mail them to myself so I could print it out in case I wanted to cook with one of them. Right now, if I want to do this I have to cut up my magazine and tape favorite recipes into a notebook. It's just too much work, so I find the purpose of the magazine less useful than I had hoped. My sister and friends who have subscribed to the magazine in the past can show me their cherishes stacks of unread issues. I have heard too often, " ...Someday, I'm going to go through these and find recipes.... Someday...." Subscribing to this magazine is a failed experiment for me. The best I have been able to do is find chefs that I find interesting and buy their cook books. When my subscription ends, I'm going back to cook books and then go through my unread stacks of unread issues to find those recipes that work for a health conscious vegetarian. This app needs to be more than a duplication of the print version of the magazine. It needs to offer tools for subscribers and ways to collaborate. Look at Food 52 or Pinterest. If it just had a way to PIN a recipe that would be a good start. But magazines are lost in the "intellectual property mindset" and it doesn't work because people want more. At least the NYT let's you mail and share your finds. This app reflects a mindset that needs to evolve. Receive the hard copy as a subscription but really enjoy the App on my IPAD to review and share with friends. Love the magazine and recipes, but the new app is abysmal. 1) They've removed the favorites/bookmark feature and now not only can I not mark recipes I want to make, but I've lost all my previously saved favorite recipes. 2) The app doesn’t remember where you left off reading the magazine and you have to hunt for it. 3) The app hangs on startup if there’s no internet connection or a weak one since it wants to load articles from the internet, even if you just want to read the magazine you’ve already downloaded. Very frustrating. I paid extra for the digital subscription, but this latest update makes me not want to do that again. Good update. I love the new layout. Still getting used to it a bit and I had to restore my purchases but overall nice update. Horrible app support. I have a current digital subscription but I can not access any editions of the magazine after the update. I have contacted both Apple and Food and Wine but they just told me to contact the other. This app reads as though the magazine was literally scanned onto a digital screen. I expected this to be like any other magazine/newspaper app where you can click on stories and actually read them. The print is way too small and very difficult to read. The app keeps trying to make me pay again. It lets me log in but I have no access with out paying again. I called CS and they were no help and had crappy attitudes. She was more than happy to cancel my subscription. Today’s update locked out all my issues.. I subscribed through iTunes. I restored my purchases on the new APP to no avail. Must be run by idiots.. Cancelling subscription.. I've been a print subscriber for years but can't -- even after repeated calls -- log in successfully and pull up the magazines. It wants me to purchase them or subscribe. Frustrating and maybe I should just delete the app and move on. I have one general rule. If I encounter a problem activating a digital subscription to a magazine I already pay/subscribe to I will attempt 3 times (in app) and then will delete the app. It was so cumbersome and buggy that I have also cancelled my print subscription after receiving only one issue. Make it seamless or don't bother. Nothing is worth this. Can't download on iPad 4 or iPad mini. What is going on with this app? I keep getting a message to try download later or error that is not network related. I also can't restore my prior purchases. This used to be a great app with very few bugs, but now I can't download new issues or access old ones: which completely defeats the purpose of using the app. Please fix this issue soon! Great as a mobile app. 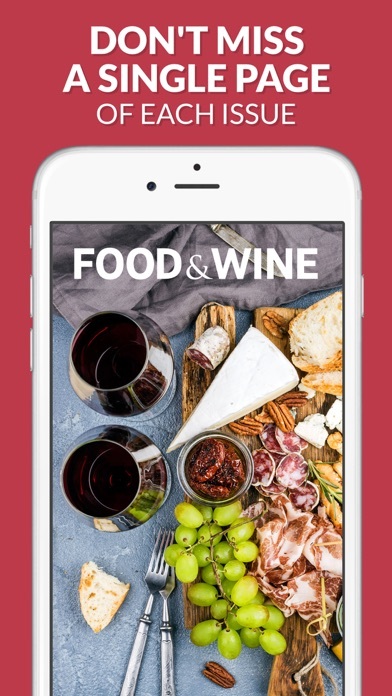 I bring my iPhone with me and use the Food & Wine app to shop for ingredients and to use as a reference when I'm away from my paper magazine. I really like the app! As of the August issue there are no more links to recipes, you can no longer save favorites and the recipes are no longer formatted to make it easy to use them while cooking. 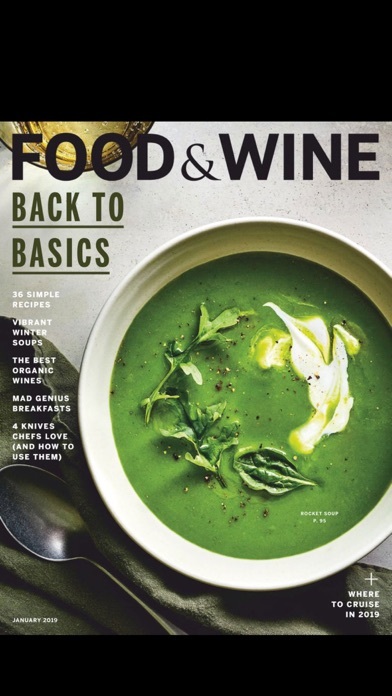 Why Food and Wine thought it was a good idea to take away those features and just supply a scan of the magazine is beyond me. Don't bother subscribing to the iPad version unless they bring back the interactive features. impossible to use app, and the magazine is not much better.. What used to be a great informative magazine has turned into a mess of a layout complete with absurd recipes using tiny portions of obscure ingredients that will take you 3 weeks to hunt down only to realize how much you hate it. The articles and advertisements all look the same and lack sensibility. I have read this magazine on and off from day one, and will be canceling my subscription. When food becomes more about the ego of a chef and ingredients are simply meant to be manipulated into something borderline inedible it's time to find other sources. This app used to be the best magazine app, in my view, out there. There were links for all the recipes on the recipe index where I could just tap on it and the app would direct me to straight to the recipe. Now, the app version is just a scanned version of the printed version. No links on the recipes and when I try to scroll through the pages, it doesn't indicate what page number I am on. So, it takes forever for me to find a specific recipe. I find this incredibly frustrating. It is a useless app. I am going back to reading the printed version. Cannot access my account no matter what I do. This app is useless. With iOS 8.1.1, the app will only allow me to access issues that are 6 months old. I can't access the newer issues in my subscription, though it appears I might be able to purchase them again, if I wished to do so. All the great functionality stopped after July 2015. Links to recipes, helpful organization and favorites' id'ing are now gone. Better to get the hard copy than buying this app which is now merely a scanned version of the mag. On the other hand, with the new digital version the iPad might be used as a handy trivet. Food & Wine is the worst app and website ever. The app is so slow and ridden with ads that it makes navigation impossible. When they present a series of recipes and you want to see them all at once, the "see all" button doesn't work on an iPad most of the time. If you keep hitting the button, eventually an ad will open instead of the list of recipes. Fix this app or remove from App Store. It is a waste of time! Thanks Time Inc. for destroying the app. I’d recommend users try the NY Times Cooking app - they have it right. 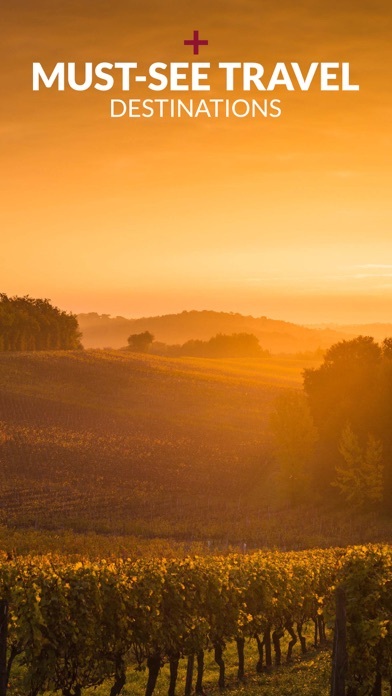 I used to love my Food and Wine app but for the last several months I have been unable to get the app to recognize my subscription. I have tried everything from restoring issues to uninstalling and reinstalling the app. Nothing works! Do not bother to contact Customer Service either, they will not respond to your pleas for help. I am going to have to call them and it will be to cancel my subscription. That is too bad, this app used to be great. No updates. No customer service. Rip off! This is a nightmare app. I spent money on a subscription and it doesn't unlock the issues. I'm basically throwing money away. Horrible UX. They should take it off the store till they can fix the issue, otherwise it's basically fraud. All my 2014 issues are gone! Used to be a decent app. As a print subscriber, I can no longer download issues. App asks me to pay another $5.99 for something I've already paid for. Used to be a simple download button when signed into your account and a new issue came out. Same issues with Travel & Leisure magazine. Until they fix this, I would avoid this app completely. Also considering dropping my print subscription as a result. Very unhappy ! I find it odd (or not) that there have been no reviews on this app since Jan. 2015. Very disappointed that the app is now just a scan of the magazine. Since iOS 8 update I can't get any of the 2014 issues. Am a print subscriber, but wants me to pay. Also, unable to get a response from customer support. Argh! Please fix! I used to love you. The magazine downloads as a whole and not as individual pages. You cannot save individual recipes. They use to have a recipe section and it is missing as well. I will not renew this app. Other food mags do so much better. Can't search or save recipes or wines. This app reads as though the magazine was literally scanned onto a digital screen. I expected this to be like any other magazine app where I could click on stories and easily read them. The print is too small and very difficult to understand. I bought a year subscription in October and when 2015 came I was unable to load the January issue, so I contacted the magazine support and they told me to do it through Apple as I bought it through iTunes, well I contacted Apple and they asked me to erase the app and reload it,, it started my January issue but I lost other issues that were loaded before, I love this magazine but I think it is best to get the paper subscription. I can login but no matter what I do they want me to buy the issues even though I have print subscription. I just downloaded several magazine apps, and most view like regular books/magazines. Apparently, this one just had an update that made changes, changes that were not improvements. This one looks like the pages were just scanned in. There is an option to bring up a reading view, but it is annoying. Perhaps the negative feedback will encourage developers to design an actual reading app for this magazine. Before this recent update to “improve” this app, it worked just fine. I could download my latest issue every month. I could easily read my new issue or any of my (many) previously downloaded issues. It worked. Now, after spending 10 minutes with that little wheely thingy going round & round, I can’t get this app to open at all! TOTAL WASTE OF MONEY!!! Dammit! New Update is Awful! I wanted to keep my old issues of F&W, back to the initial launch of the app in 2010, many of which I refer to often. Thanks to this miserable new update, they are gone forever. When I clicked to restore purchases, it only went back to 2014. Please restore ALL of my purchases! Bring them back, or you will go the way of Gourmet! Love the magazine and recipes, but the new app is abysmal. They've removed the favorites/bookmark feature and now not only can I not mark recipes I want to make, but I've lost all my previously saved favorite recipes. And I paid extra for the digital subscription! Won't be making that mistake again. This new update is the worst. Even though I restored my purchases, I can’t access any of them without having to pay again. I’ll be canceling my subscription if the bugs aren’t corrected!! I thought this was perfectly fine before the update. Now it’s a mess. You have to wade through this random article feed to get to your issues. I can’t figure out how to access my back issues even though it says purchases restored. And the actual experience of reading the magazine has gone way downhill. It’s ugly, smaller and harder to use. Hate this new interface. I’m just adding my voice to the chorus of disappointed food and wine app users. The app does not allow you to search - it only had duplicated copies of the magazine I already have a hardcopy of. Also, and this part is important, you cannot see reviews. Part of the reason why I bought the app is to read and share feedback. I can’t read the feedback when I go in through the browser and now I can’t see the feedback through the app. It seems pointless to have it at all. They need to take a lesson from Bon Appétit/Epicurious and allow one to save recipes. This app is so hard to manage with no recipe downloads. Of all of the apps I use, this one has to be the most limiting. Compared to the actual website, this app restricts you to just the magazine with limited functionality. Frankly you are better off going to the website unless you want an app that just takes up space. Update. This app will not restore purchases and locks you out of sections. It’s a nightmare. Use the regular website as this app is useless.